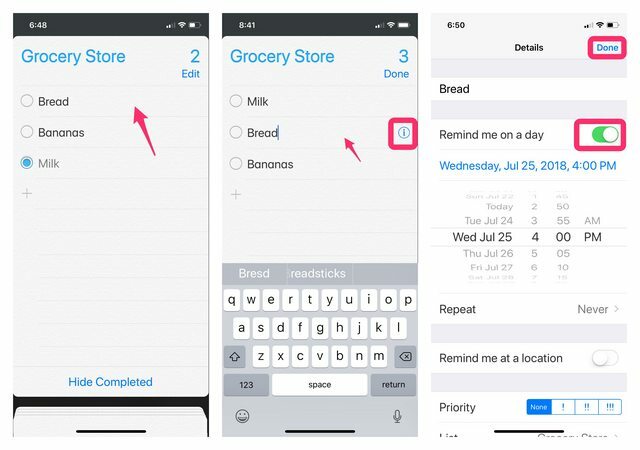 If you haven’t taken advantage of the Reminders app. You are really missing out! Did you know that reminders can be time based, location based and you can even request Siri to remind you. 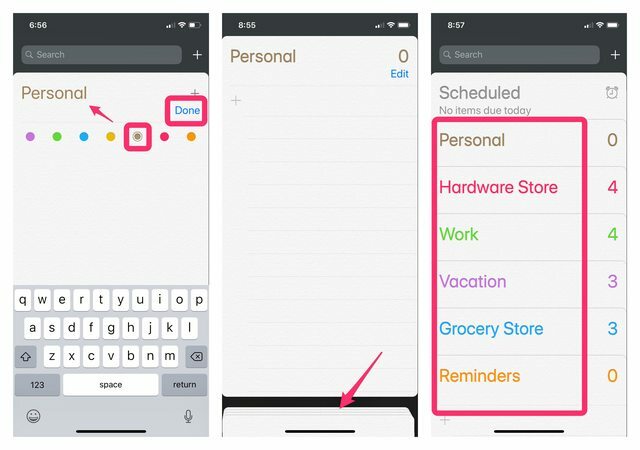 With reminders, you can keep track of your to-dos, when and where you do them. 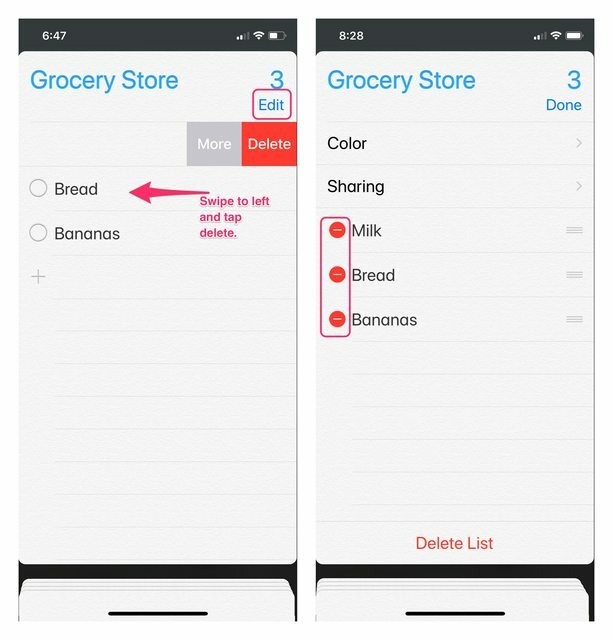 Use reminders for groceries, vacations, projects and anything else you need to keep track of. 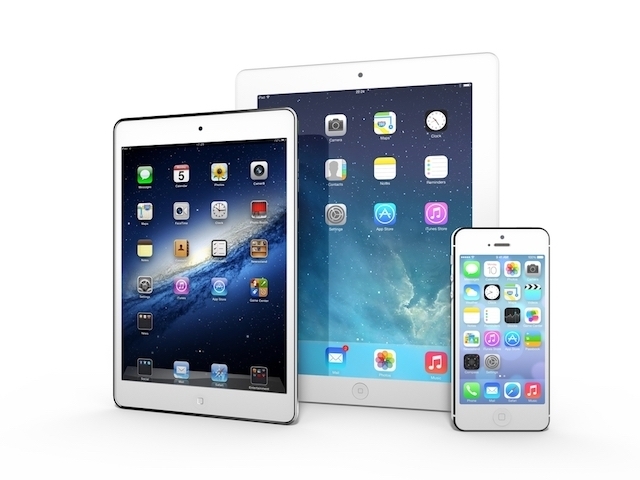 With iCloud your reminders will be synced across all of your devices. • Enter the details. 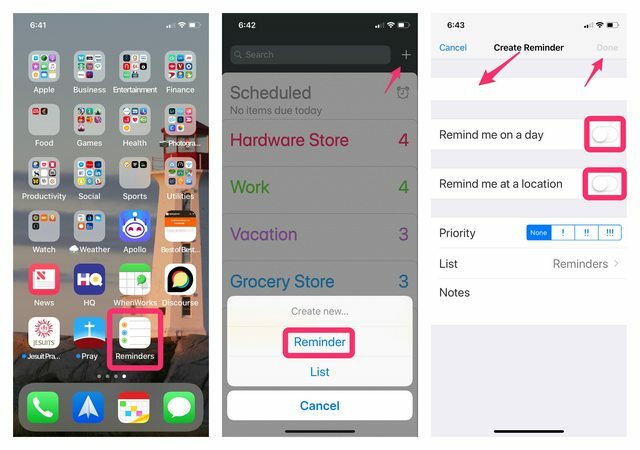 Choose to toggle on Remind me on a Day or Remind me at a location. To delete a reminder, tap edit at the top right of the list or swipe to the left on the reminder and tap on delete. To complete a reminder, tap on the empty circle to mark it as complete. When receiving a notification on the Lock screen, swipe left, tap view, then tap Mark as Completed. To see a list of completed reminders, tap Show Completed at the bottom of the reminders list. Need a specific reminder? Such as “call the doctors at 10 am” or “Stop at the grocery store when you leave work”. Reminders can help you with that. You can set notifications that alert you when your reminder is due or when you arrive or leave a location. • Choose the date and time to be reminded. Location reminders will notify you upon arriving or leaving a location, like your home, work or grocery store. Check to make sure you have Location Services turned on. • Tap on the item then tap on the (i) to the right of your reminder, slide on the toggle switch next to Remind me at a location, now tap location. • Choose, search or enter the address where you want to be reminded. You can even select your current location. • Now choose whether you want to be reminded when you arrive or leave. • Drag the black dot on the circle in or out to lock down the perimeter of your reminder area. • Select Details to return the previous screen, then tap Done. Siri’s a great way to add a reminder. So much quicker than typing it all in. To have Siri schedule a reminder just ask Siri by pushing and holding the home button or just saying “Hey Siri” if you have newer iPhone. • “Hey Siri”, remind me to call Susan when I get home. • Siri, Remind me to pick up milk at the grocery store. • “Hey Siri” remind me to call the doctor at 3pm. If you give Siri your work and home address it makes it easy to personalize your requests. • Add your work and home address to your contacts card. 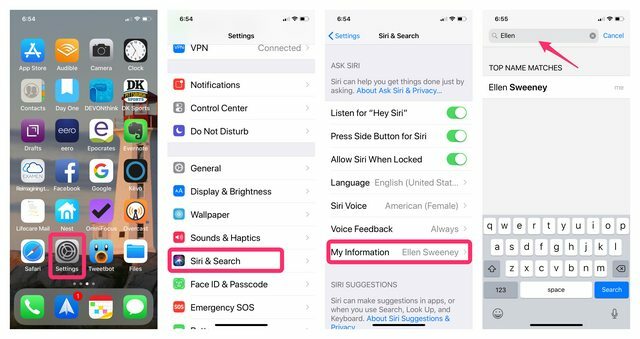 • Go to Settings > Siri and Search and tap My Information. • Tap on/or search for your Contact Card if it hasn’t already been selected. You can create Categories like work, vacation, school, or personal. This helps to keep things organized. • Tap List, name your list and choose a color. • Tap on the stacked lines at the bottom to see all your categories. 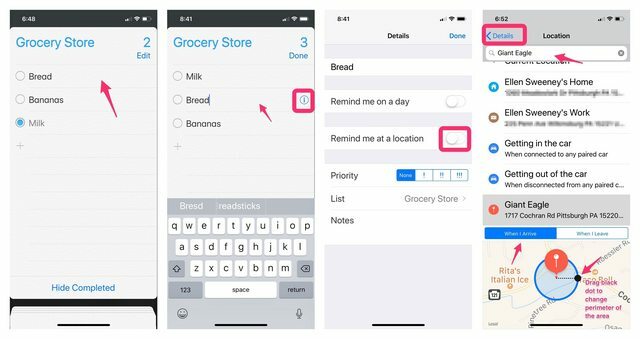 Now to add a reminder to a specific list, just say, “Hey Siri add milk to the shopping list”. The reminder will be placed in the list you specified. Once the invite has been accepted you can each add, delete and mark items completed. 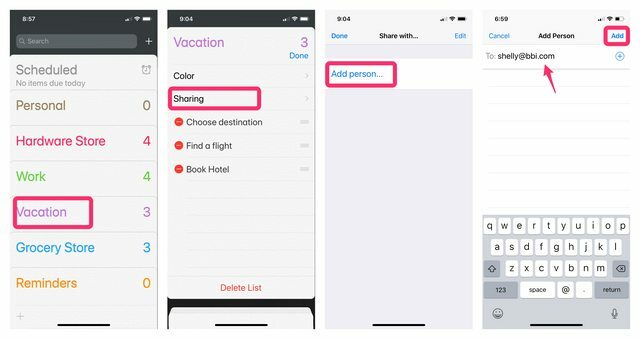 Hopefully this post will get you started using your Reminders app. If you have any questions or suggestions on how to use reminders, share them in the comments section of the blog.